Multi split air conditioners are among the most advanced air conditioning units in current usage. They are the perfect choices for large spaces, from sizes ranging between 60m2 and 6000m2. They provide a comprehensive cooling solution for a variety of different businesses. Keep your employees cool and focused on their work with a complete cooling solution that will make office work during the heat of the summer a breeze. Ensure maximum customer comfort through the hottest months in crowded retail stores. This also guarantees a pleasant working environment for retail store employees. Convenience shouldn’t just refer to the products you carry; maximize the experience for customers by offering a calm oasis in hot weather. Thanks to an air conditioning solution that will never let you down. The food should be piping hot but the temperature of your restaurant shouldn’t be. multi split air conditioning choices are the perfect option for those looking to ensure maximum comfort for their patrons. Working up a sweat is something customers should experience from exercise, not the temperature of the club itself. Keep things cool and refreshing to guarantee improved customer experience. Workshops can quickly become too warm for employees to function at maximum capacity, so turn the temperature down to ensure increased comfort that keeps the working environment as pleasant as possible. With multi split air conditioning, your customers will be guaranteed to be able to dance the night away without the distraction of overheating on hot summer nights. Keep employees’ minds focused firmly on the tasks at hand by ensuring a comfortable temperature no matter how long employees are spent brainstorming your business’ next grand plan. Computers run best at temperatures of 65F or lower and computers themselves generate a huge amount of heat. Keep things running smoothly by controlling the temperature environment of your IT room to ensure maximum productivity. Do multi split systems only provide cooling? While most of us associate the term “air conditioning” with a cooling action, multi split air conditioning systems can both provide heat and cooling. This ensures beneficial returns on your investment, with systems offering enhanced performance 365 days per year. Whatever temperature you want things to be at, whatever time of year, they’re up to the task. Can multi split air conditioning units be used domestically? Yes. 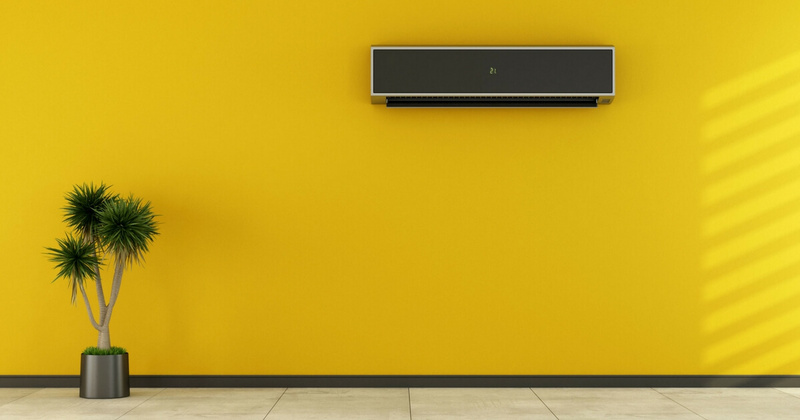 While this form of air conditioning is more common in large business premises, if your home is over 60m2, then multi split air conditioning could work for you. One 240v supply can power up to four air conditioning units for both heating and cooling purposes. What are the major benefits of multi split air conditioning units? If you are ready to talk to our team of air conditioning installation experts and would like to find out more aobut our options and rane of units, give us a call or send us an enquiry today.